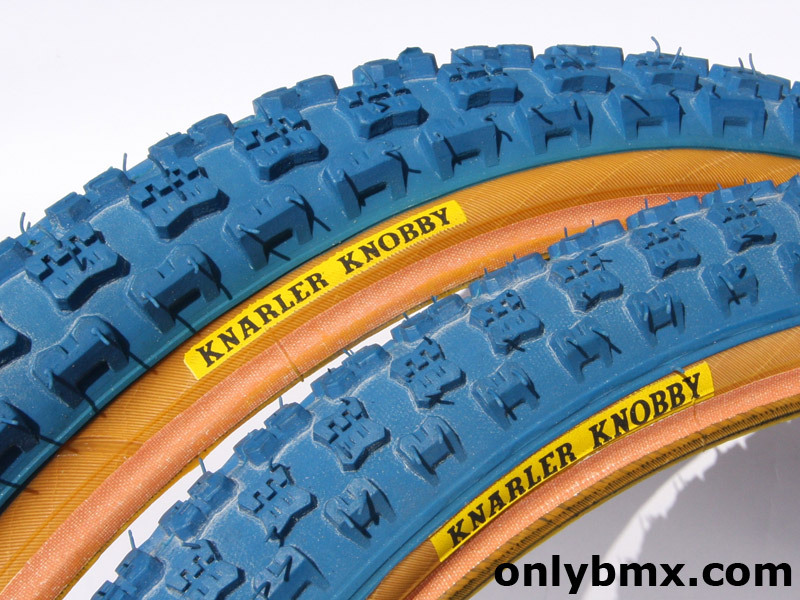 Pair of Panaracer Knarler Knobby BMX tyres. 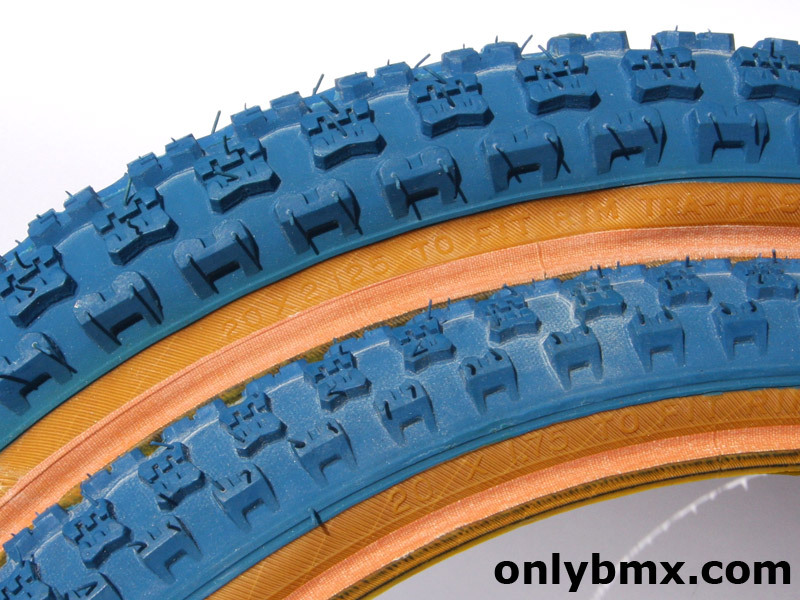 Set includes a fat and skinny or in other words a 20 x 2.125 and 20 x 1.75. 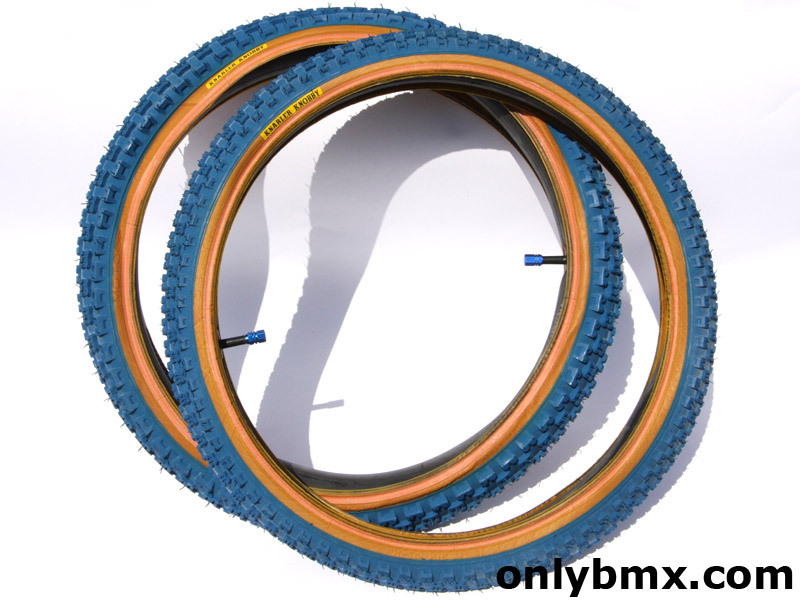 These are NOS and have never been used or even mounted. 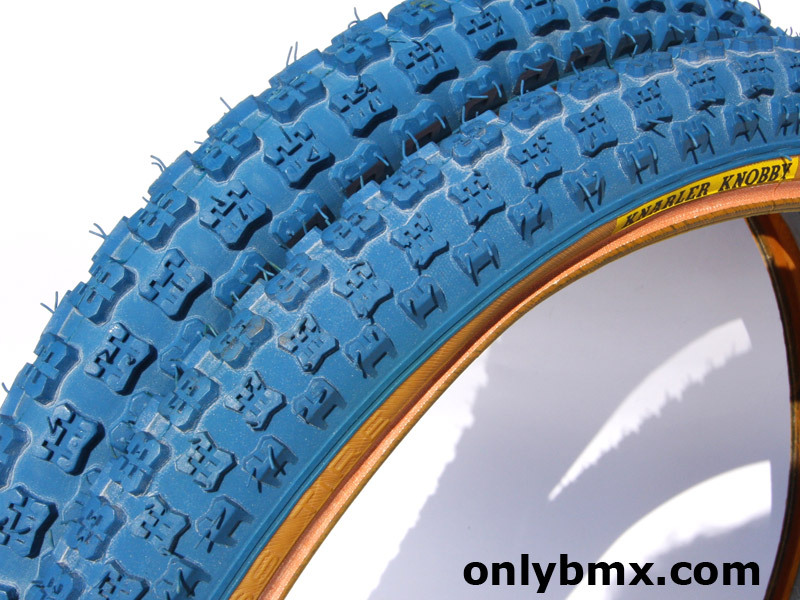 Labels are intact and the skin walls are a nice even colour you would expect from a brand new set of tyres. 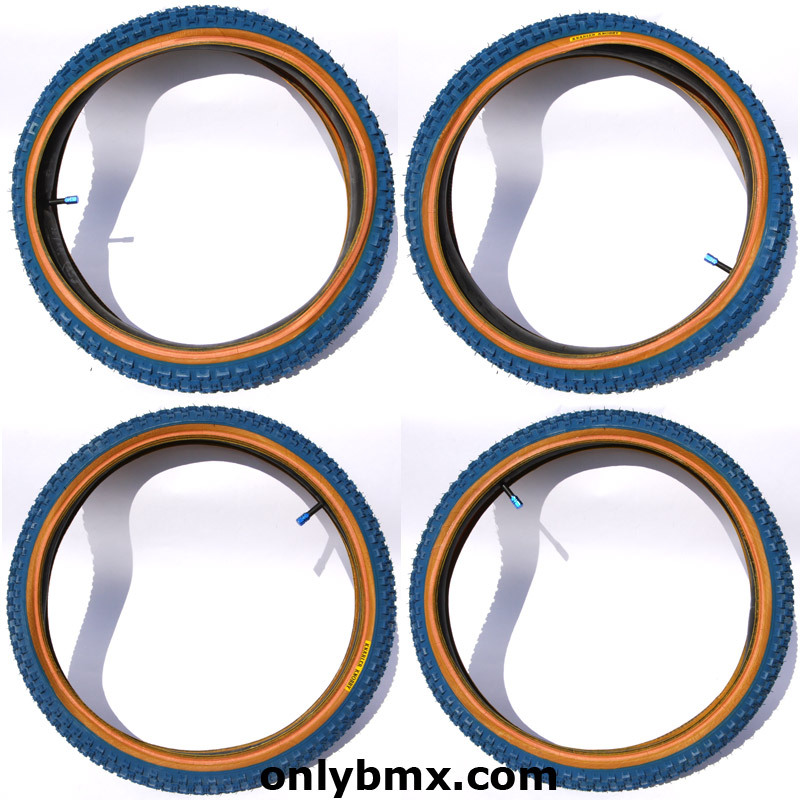 Does not include tubes, it’s just easier to photograph tyres with tubes inside.